Write your secrets in invisible ink only to be revealed by your very own UV torch! 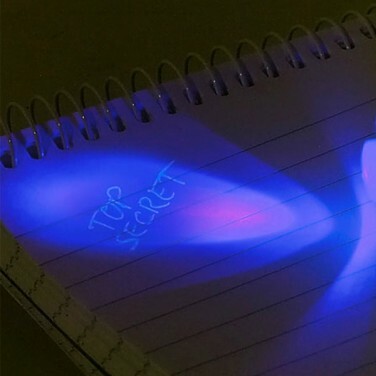 Write secret messages, notes and doodles in your top secret notebook only to be revealed when you shine your UV torch! Jot down secrets in invisible ink and your notes will only be seen when you shine your UV torch onto the paper. 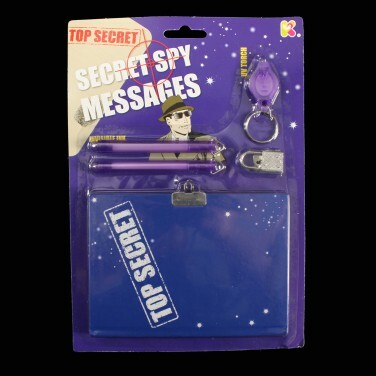 Perfect for hiding notes from nosey siblings and meddling parents, your secrets will be safe in your secret spy message book!